Terry’s is the ninth largest chocolate confectionery brand in Britain. 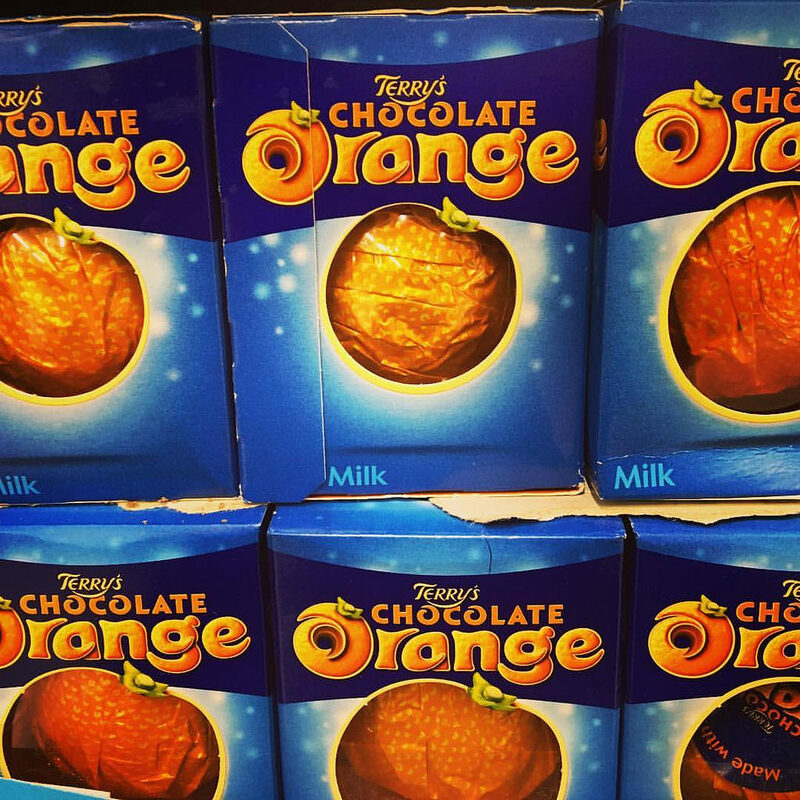 Best known for the Chocolate Orange, Terry’s is currently owned by Mondelez. For much of the twentieth century there were four major chocolate manufacturers in Britain: Cadbury-Fry, Rowntree, Mars and Terry’s. Terry’s held between two and five percent of the British chocolate market. It was considered to be more upmarket than its higher-selling rivals. Terry’s traces its origins to 1767, with the foundation of the Balydon & Berry confectionery business in York, England. They established premises in St Helen’s Square. Joseph Terry (1793 – 1850) was the son of a baker from Pocklington, outside York. He received his training as an apothecary and established a chemist’s shop at Walmgate in York. Terry married Harriet, the sister in law of Robert Berry. After William Balydon left the business, Terry joined to form the partnership of Terry & Berry. His training as an apothecary and his upbringing in a baker’s shop gave him an excellent background for the confectionery business. Robert Berry died, and his son George sold his stake in the business to Terry in 1828. During the 1830s Terry established retail agencies in 75 towns, mostly in the North of England and the Midlands, but also in London and Luton. The company rapidly expanded throughout the 1840s. Joseph Terry died in 1850, and after a brief period in custodianship, the business passed to his second son, Joseph Terry Jr (1828 – 1898) and his two younger brothers in 1854. The business was the second largest employer in York by 1851, with 127 workers. The firm was producing chocolate confectionery by the 1860s. Terry opened a new steam-powered manufacturing site in York in 1864. Joseph’s eldest son, Thomas, became a partner after 1880. He developed the export trade to new markets such as Australia and New Zealand. A dedicated chocolate factory was opened in 1886. The business was incorporated as Joseph Terry & Sons Ltd in 1895, by which time it had 300 employees. 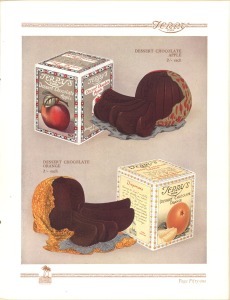 Terry’s had emerged as the leader in chocolate assortment sales by the 1920s. Terry’s acquired cocoa estates in the Venezuelan Andes in 1922, and palm trees were added to the Terry’s logo to reflect this. The estate produced the high quality Criollo beans. 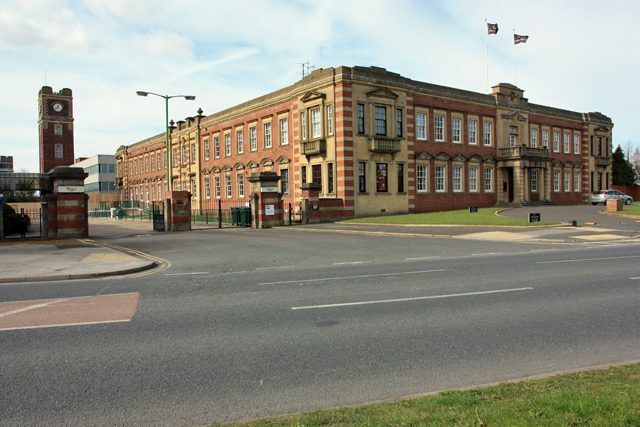 Terry’s relocated to a purpose-built factory at Bishopthorpe Road in York from 1926. 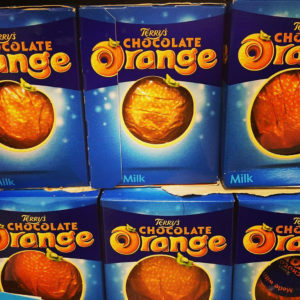 Its two most iconic products were first produced at the site, All Gold in 1930 and Chocolate Orange in 1931. Originally, each Chocolate Orange was made with 22 cocoa beans. The Chocolate Orange was preceded by the Chocolate Apple, introduced in 1926. Terry’s had a share capital of £812,490 (around £51 million in 2014) in 1934. Terry’s employed 2,500 people in 1937. Terry’s was built up entirely from its own profits and with practically no advertising. The first national press advertising campaign appeared in 1938. During World War II part of the factory was requisitioned by the government and became a repair site for Jablo propellers. Terry’s sold its Venezuelan estates in 1940. The Chocolate Apple was discontinued in 1954 as cocoa supplies were limited in post-war Britain, and Terry’s wanted to concentrate on the more popular Chocolate Orange line. Following the death of Francis Terry in 1960, rumours emerged that the family were willing to sell the company. Forte, the hotels group, acquired Terry’s for £4.25 million (around £78 million in 2014) in 1963. At this time the company was still not an extensive advertiser and was considered a high-grade chocolate manufacturer. Forte increased advertising, and between 1973 and 1976 trebled the sales of Chocolate Orange. Against a hot summer, Terry’s made a £2 million profit against a turnover of £22 million in 1976. Forte required funding to acquire the hotel assets of J Lyons. Forte sold Terry’s to Colgate-Palmolive, the American consumer goods company, for £17.5 million in cash (around £95 million in 2014) in 1977. The Terry’s All Gold chocolate assortment had been established as the leading product by the late 1970s. A Chocolate Lemon was briefly introduced in 1979. Terry’s made pre-tax profits of £2.7 million against a turnover of £42.1 million in 1981. United Biscuits acquired Terry’s for £24.5 million (around £75.5 million in 2014) in 1982. The book value of Terry’s net tangible assets was £20.5 million. United Biscuits determined that it would be able to improve Terry’s sales through its large distribution network, both in Britain and overseas. United Biscuits invested heavily to internationalise its confectionery business, which it renamed Terrys Group. It acquired Callard & Bowser at Bridgend, Wales, which had a large US export market, Chocometz in France, and Aura in Italy. A deal was agreed with Marabou of Norway to distribute Dime bars in the UK. The family connection to the company ended when Peter Terry retired as chairman in 1986. Terry’s was sold to Kraft of Chicago for £220 million in 1993. It was the fourth largest chocolate company in Britain. Its main lines were All Gold, Moonlight and Chocolate Orange. The sale also included the United Biscuits confectionery business. There were 2,270 employees across the businesses, with 1,350 employed at Terry’s in York. By this time eight million Chocolate Oranges were produced every year. A Kraft spokesman suggested that the Terry’s factory might be used to produce Suchard product lines such as Toblerone for the UK market (this never happened). The number of employees at Terry’s had been reduced from 1,350 to 775 by 1996. That year, Kraft announced that there would be a further 300 job losses, leaving a staff of 475. Kraft changed the brand name from “Terry’s of York” to “Terry’s”. Kraft phased out all the lower volume Terry’s product lines in 2002, leaving just All Gold, Twilight, Chocolate Orange and York Fruits. Kraft closed the York site in 2005 and moved production to Poland, with the loss of 316 full time jobs, and 150 seasonal jobs. Kraft explained that volumes had declined between 2000 and 2004, mostly due to reduced export sales of Chocolate Orange. This, together with the size and age of the Terry’s site, made production unviable. The York Fruits brand was sold to Smith Kendon in 2008. The Terry’s name no longer appears on its packaging. Many looked back warily to the closure of Terry’s when Kraft acquired Cadbury in 2010. Kraft spun off its snacks business as Mondelez in 2012. It was reported in 2015 that Mondelez were exploring a sale of the Terry’s brand.